The Saniflo Sanishower is a small gray water pump that may be used to pump gray water waste away from a shower, sink, bar sink, or other fixture. The Saniflo Sanishower is small enough to fit underneath a raised shower base. Alternatively, it can be placed behind a wall or beside a shower. The Saniflo Sanishower will pump wastewater up to 12 feet in height and/or 100 feet away from a soil stack. 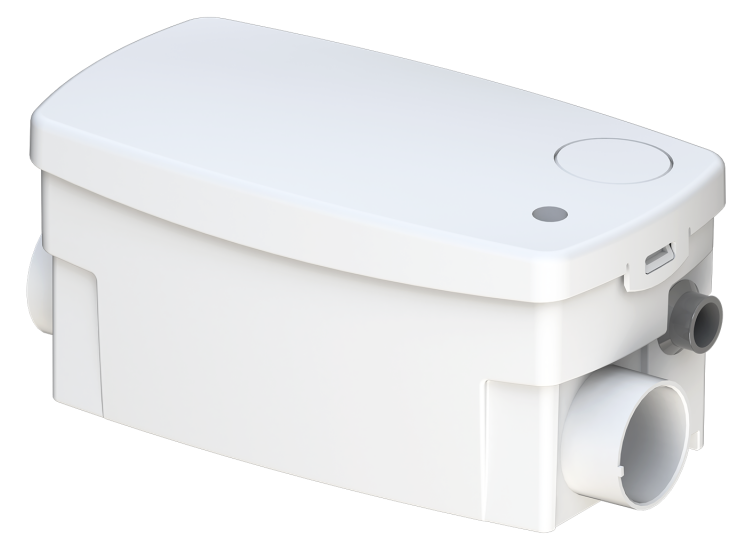 In addition to sinks, the Sanishower will also pump the gray waste water from a variety of other sanitary fixtures such as: a shower, a urinal, etc. 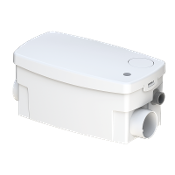 The Saniflo Sanishower gray water pump is small enough to fit comfortably inside a kitchen cabinet or vanity or even under a raised shower base.